I feel like it’s been ages since I actually used this blog to say something inane and unimportant. I don’t really like to rant online, it must be something to do with the way I was brought up. I like to save my verbal tirades for when we’re fast tracking to the bottom of a bottle of wine and contemplating the next. What can I say – I’m an analogue girl at heart. So let’s have a chat about the peacock instead. 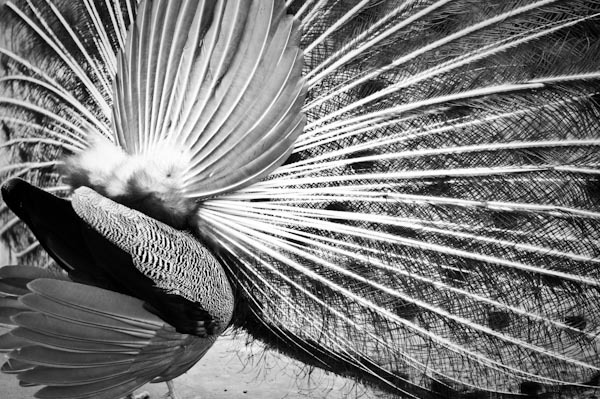 Now I’m not a botanist or ornithologist (or whatever ‘ist’ you are that makes you an expert in these things) but there is something so gloriously camp about the bootie shaking, showoff that is the Peacock. If the Peacock was a singer, he’d be Shirley Bassey. If the Peacock was an item of clothing, he’d be a sequined catsuit. If the Peacock was a drink, he’d be a Bacardi Breezer. If the Peacock was a pair of shoes, he’d be a set of 9 inch heels in Size 10.